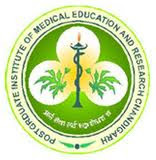 Jobs Details :- Application are invited for the Posts of Audiologist in Postgraduate Institute of Medical Education and Research (PGIMER). Qualifications : B.Sc in Audiologist. Desirable : B.S C in Audiologis. No. Of Post : 35 Posts. How to Apply : The applications should reach the office of the Dr Kanya Mukhopadhyay, Principal Investigator, PGIMER by 10th , July 2012 3.30 PM . The candidates may appear for the interview with their certificates on 12th July 2012, at 3.30 PM in NICU office, IIIrd floor, F block, Main Nehru Building, PGIMER , Chandigarh.